Ian Torres is a former football player for the Wildcat's team in Hollywood, Florida. While playing for this team, he played the running back position. 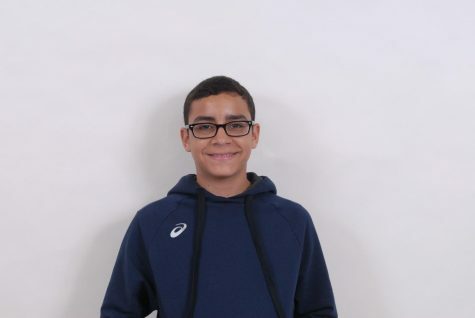 Torres has interest in game programming and sees himself as becoming a future game developer. He likes graphic design and photography. Anime is also a big part of his life, along with other computer animation genres. Ian is academically advanced in writing but struggles in science. “I've never been really good at it,” said Torres. Ian doesn’t read much news, but when he does he reads local news for brief periods of time. He would like to visit Paris, Sweden, and Switzerland because he prefers colder areas rather than hot areas. Torres sees himself as a cat, more independent. In his spare time, he plays outside, spends time family, or watches TV. Ian dislikes jazz music because he finds it boring. He likes hip-hop and rock music because he finds it is more up-tempo. Ian tends to dress more casually and wears darker clothes. His biggest dream is to make a game that becomes popular worldwide. Ian has two male cats named Azzy and Maui. Like most people, Torres hopes to be successful throughout his life.